National Tree Day is Australia's largest tree-planting and nature care event. National Tree Day started in 1996 and since then more than 3.8 million people have planted 24 million trees and plants and it's still growing. 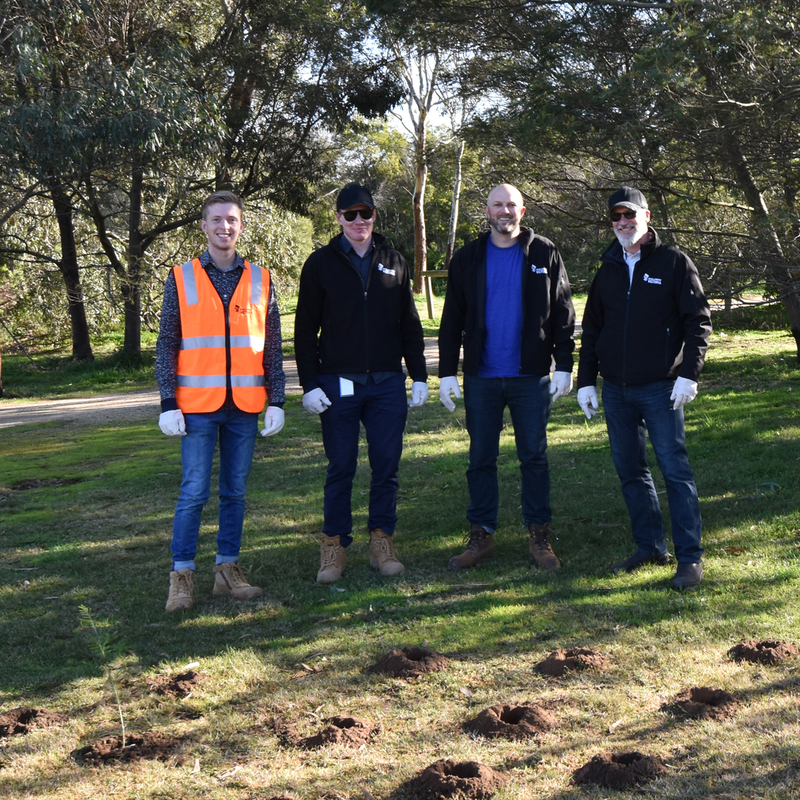 To help celebrate and highlight the importance of the day, our Riverwalk team were on hand to participate in the Werribee Rivers Association tree planting day where they spent the morning planting trees, watering and spreading mulch in a bid to protect the trees from the surrounding wildlife. This was a great opportunity to work with the Werribee River Association in partnership with Nature West, Melbourne Water and Parks Victoria. Riverwalk, led in partnership between Development Victoria and Melbourne Water is an exciting project for the Werribee community and once fully complete will consist of a mixed-use development comprising over 2,200 residential homes as well as retail, commercial, employment, education and community spaces. Reflecting its natural setting, Riverwalk is proud to offer 24 hectares of open space, wetlands and parklands, a village park, water play areas, bike trails and more. The Riverwalk project is anticipated to be complete in 2023-25.